9. Input reverse polarity protection: None (if required, high current diode in series with the input). (1) adjust the “voltage potentiometer” so that the output voltage reaches the value you want. (3) Connected to the load. (3). use a multimeter to measure the output short-circuit current with 10A stalls, while regulating the “current potentiometer” so that the output current reaches a predetermined Charging current value. (5). connected to the battery charge. (1). 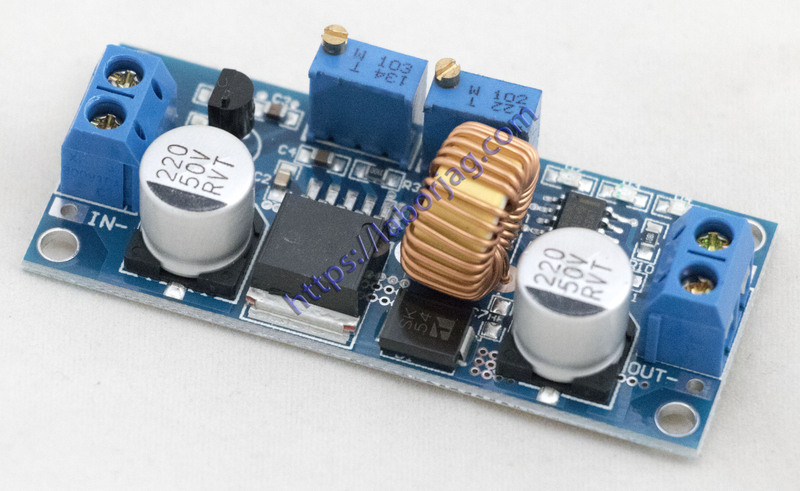 adjust the “voltage potentiometer” so that the output voltage reaches the value you want. (2). use a multimeter to measure the output short-circuit current with 10A stalls, while regulating the “current potentiometer” so that the output current reaches a predetermined LED operating current.